Keeps hair soft and radiant. A 2-in-1 formulation that cleanses and conditions in one step, Himalaya Herbals Protein Shampoo Softness & Shine makes your hair silky smooth and radiant. Our shampoo provides your hair its daily dose of proteins, keeping it soft, lustrous and healthy. 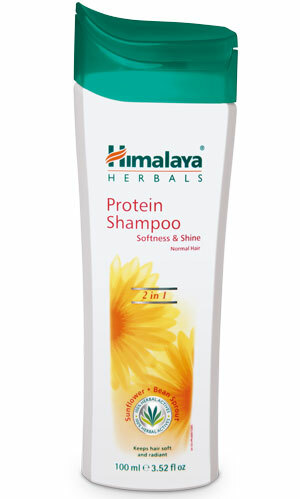 Massage Himalaya Herbals Protein Shampoo Softness & Shine gently into wet hair and scalp. Rinse thoroughly. Repeat if necessary.